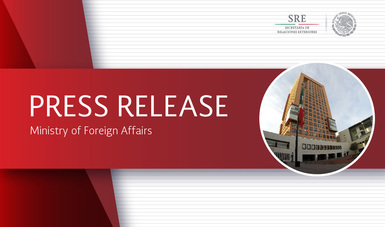 On behalf of the government of Mexico, the Foreign Ministry expresses its deep concern about the recent escalation of violence against the Rohingya Muslim minority in Rakhine state in northern Myanmar. Mexico reiterates its repudiation of all forms of violence, its unconditional support for the peaceful settlement of disputes and its commitment to protecting and defending human rights. It also calls on the parties involved to exercise maximum restraint, protect the civilian population and guarantee access to humanitarian aid for those who need it most. In addition, Mexico expresses its solidarity with the authorities in Bangladesh, a country that has welcomed thousands of refugees as a result of the crisis in Rakhine.